NaNoWriMo 2018 – 10 Year Anniversary Celebration! In 2018 we will be hosting our 10th NaNoWriMo (National Novel Writing Month.) Every November, people all over the world attempt to write a 50,000-word novel by midnight, November 30. Participants sign up by creating free accounts at www.nanowrimo.org, the official site for National Novel Writing Month. There they can post their daily (or hourly, or second-by-second) word counts, display samples of their writing, or discuss their progress and even arrange local write-in events with other writers. The first ever National Novel Writing Month was in July of 1999, in the San Francisco Bay Area, with 21 participants. Hamilton-Wenham’s first sponsored NaNoWriMo event was in 2009, with a five-hour Friday the 13th All Day Write-In attended by four people. Since then our commitment and attendance has grown. This year, in honor of our 10 Year Anniversary, we have an exciting raft of programming planned around National Novel Writing Month, extending from October 5th – December 4th. Click here for a printable National Novel Writing Month: HWPL’s 10th Year! flier. Attendance for our library’s full set of three NaNoWriMo write-ins last year (2017) was 46, with 26 unique attendees over the course of month. At least nine people reached 50k, everyone won by taking part, and the genres in which people wrote included Adventure, Children’s Fiction, Creative Nonfiction, Fanfiction, Fantasy, Mainstream, Multiple Genre, Nonfiction, Romance, Science Fiction, Science Fiction/Steampunk, and Women’s Fiction. If you plan to write a novel in November or any other time, we invite you to write it here at the Hamilton-Wenham Public Library. We offer air, light, chairs, tables, computers, wireless internet, outlets and jacks (for laptops), books about writing, friendly reference staff who can try to help you with burning questions like “How long would it take to circumnavigate a hundred acres on foot?” and much more. On Friday October 5 from 10:30 – 11:30 a.m. there will be an author talk with Bruce Robert Coffin, former detective sergeant and bestselling author of the Detective Byron mystery series. Click here for more information. On Saturday October 13 from 2:00 – 3:00 p.m. there will be an introduction to National Novel Writing Month specially geared to NaNo “newbies.” NaNo “veterans” are also invited! Click here for more information. On Tuesday October 23 at 7:00 p.m. geek aficionado Sarah Hodge-Wetherbe will give a presentation on the phenomenon of creepypastas: online urban legends, horror, and paranormal microfiction. Click here for more information. On Thursday November 1 from 10:00 – 8:00 p.m. all are invited to a first day of National Novel Writing Blitz here at the library. Click here for more information. On Friday November 2 at 10:30 a.m. come for a presentation featuring books as they have been made throughout history, with innovations up to the present. Click here for more information. Saturday, November 3rd, 10 a.m. – 3:45 p.m.
Saturday, November 10th, 10 a.m. – 3:45 p.m.
Saturday, November 17th, 10 a.m. – 3:45 p.m.
Saturday, November 24th, 10 a.m. – 3:45 p.m.
On Saturday November 3 at 11:00 a.m. young writers ages 8 to 12 are invited to a special introduction to story writing with fun activities and exercises! Click here for more information. On Wednesday November 7 at 7:00 p.m. learn to make a variety of simple book forms that require no special materials, tools, or technical skills. Click here for more information. On Wednesday November 14 at 7:00 p.m. bring a story, idea, anecdote, or other prompt to this hands-on workshop on how to tell those stories you tell over and over again. Click here for more information. On Tuesday December 4 attend a cross-genre collaborative of North Shore Authors with diverse writing and publication experience. Featuring Elizabeth Atkinson, Edith Maxwell and Holly Robinson. Click here for more information. If you are participating in National Novel Writing Month for the first time, the best way to start is by visiting the web site and creating a free account. If you would like to communicate with fellow writers, your next stop is the NaNoWriMo forums. These forums are available year-round, but all old threads and postings are wiped clean on the first of October as people prepare for the intensive writing in November. Forums include the Genre Lounges, Resources and Writing Support, and many other groups. (There is even a NaNo Rebels forum for those using November to write something like a memoir, script or non-fiction book instead!) At the bottom you will find the Regional Lounges, where you can hook up with authors from your local area. These are just a few of the many books on writing available from the Hamilton-Wenham Library. Don’t see your favorite title on there? Let us know! If you are looking at this list during or immediately before the month of November, many of these books will be checked out, but feel free to call 978-468-5577 and ask if the title you want is actually available (it may just be checked out to a display!) We can also bring books in from other libraries. ***Asterisked books were purchased as part of our 10 Year Anniversary extravaganza. It’s true, some NaNoWriMo novels have been published. Click here for a growing list of published authors. Below are some NaNoWriMo novels that our library actually owns. Check them out, and see what you think of the results! 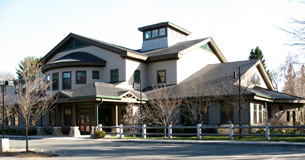 The Hamilton-Wenham Public Library is a member of the Merrimack Valley Library Consortium (MVLC).